It’s not bleedin’ Chowder! – That’s what Master Chef said! 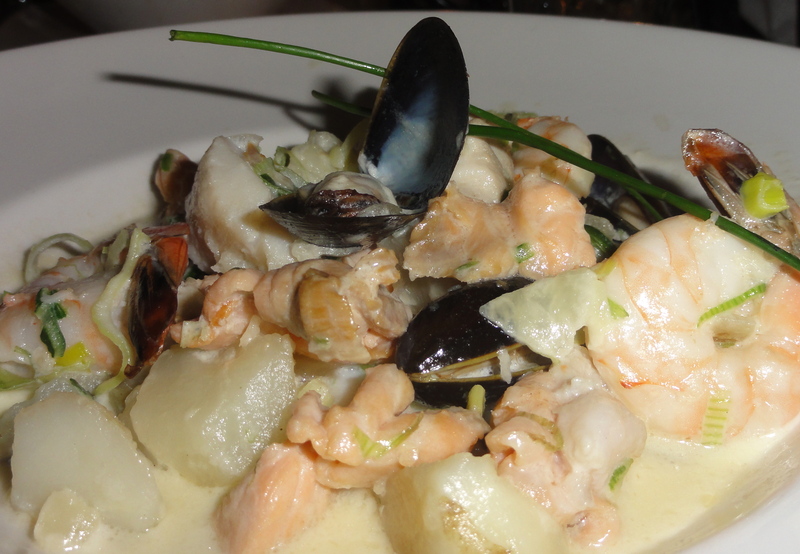 It’s the freshest cuts of seafood & potatoes in a white wine infused cream broth. But it’s not chowder. Ok? If you haven’t been to Raglan Road, you’re missing a great time as well as outstanding pub food. You can check out my full review here. Not yet receiving the MouseChow Newsletter? Sign up now! Like what you see? Read more on the blog! Ready to start planning your Disney Vacation? Check out our comprehensive vacation planning site. Or just email dawn@mousechow.com. Have you had this incredible chowder? What did you think of Raglan Road? Share your story in the comments!